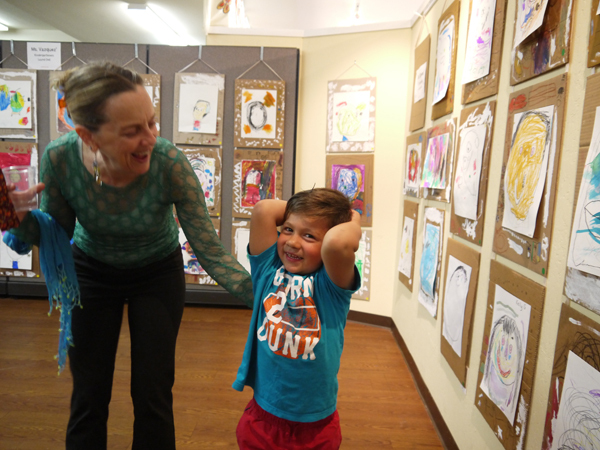 On Thursday, April 27, Laurel Dell teachers, students, staff and families came together at Youth in Arts to celebrate artwork on exhibit created by Laurel Dell kindergarteners in the Walker Rezaian Creative HeArts Kindergarten Art Program. Created by Youth in Arts and Walker’s family to celebrate Walker’s life and love for the arts, the Walker Rezaian Creative HeArts Kindergarten Arts Program combines visual arts classes led by professional artist and educators with “Family Art Nights” that bring the school community together. We learn to be artists and to be great friends! All Walker Rezaian Creative HeArts activities center on a theme of friendship–this is both a celebration of Walker, who was gregarious and loved making new friends, and a perfect developmental link for kindergarteners who are learning to be a part of a school community. 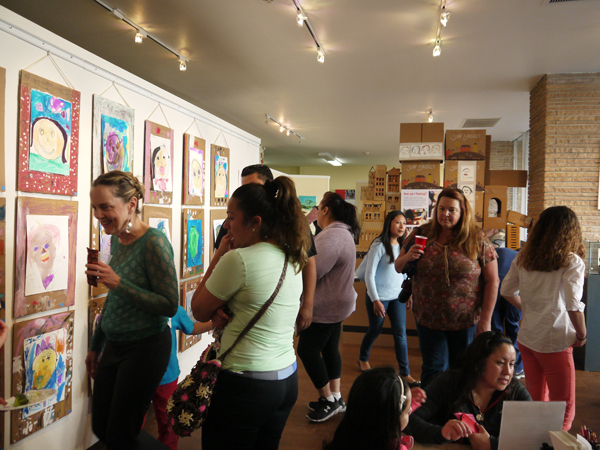 The culmination of the project is the annual “Imagining Friendship” gallery exhibit of student work on view at YIA Gallery in downtown San Rafael through May. 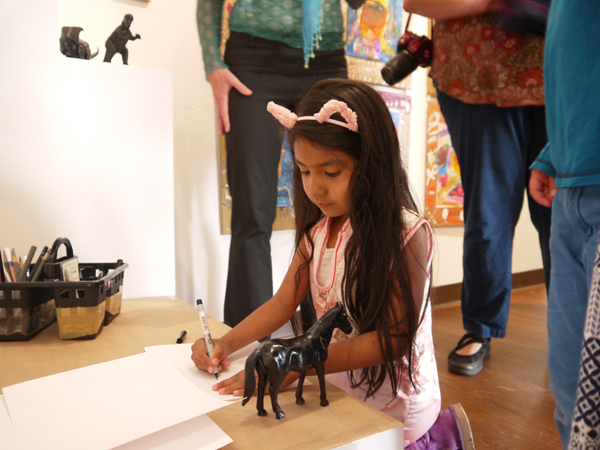 The exhibit also includes work from kindergarteners at Venetia Valley, who will celebrate together this week on May 4, and hands-on art activities for visitors. 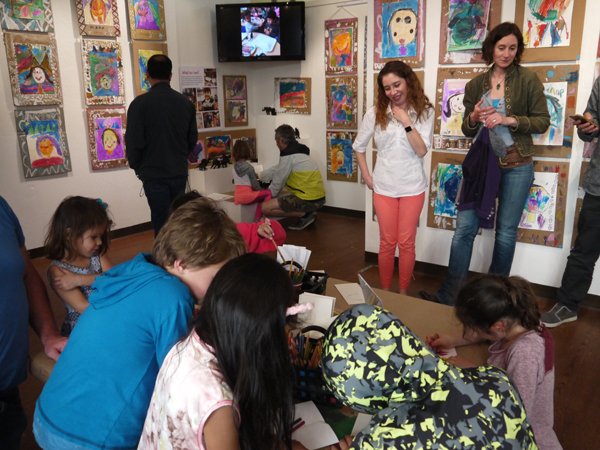 We are open to the public weekdays 11-4, as well as this weekend May 6-7 from noon to 4 pm for Marin Open Studios and on Friday, May 12 from 5 to 8 pm for 2nd Fridays Art Walk Downtown. 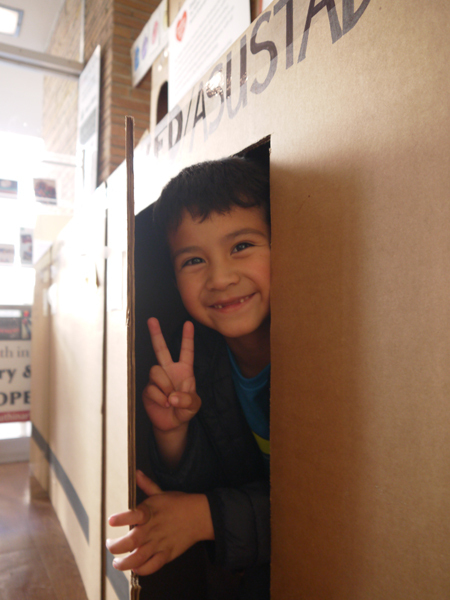 The box house is fun to explore! 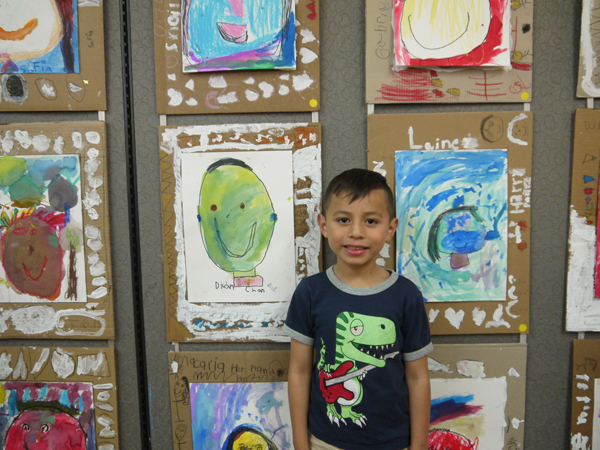 Colorful self-portraits created by the students are displayed alongside artist-created cardboard play spaces that show children you can create “something from nothing”. 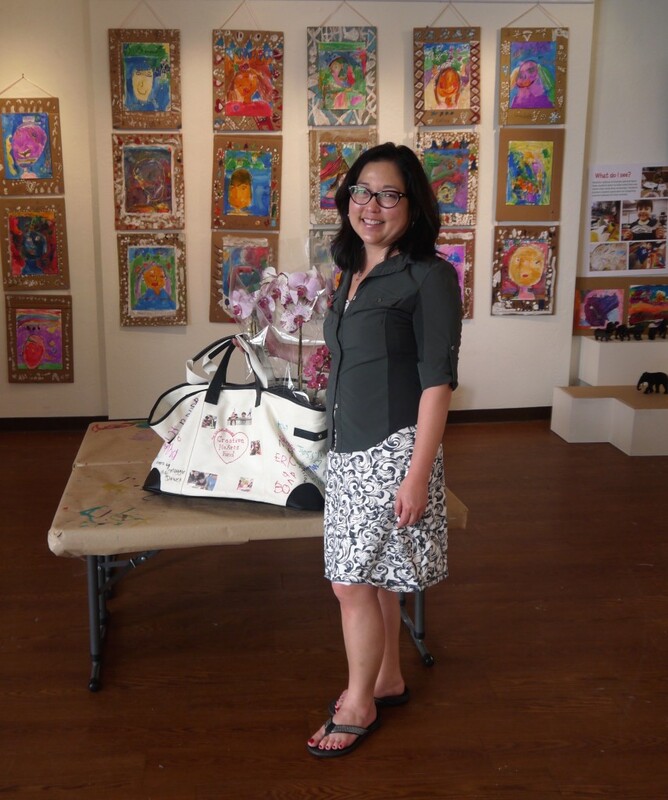 Laurel Dell staff, teachers and families created a beautiful tote for Naomi Tamura and Ali Rezaian who started the Creative HeArts Fund to honor their son, Walker, and who helped Youth in Arts design the program to have a lasting impact on children. 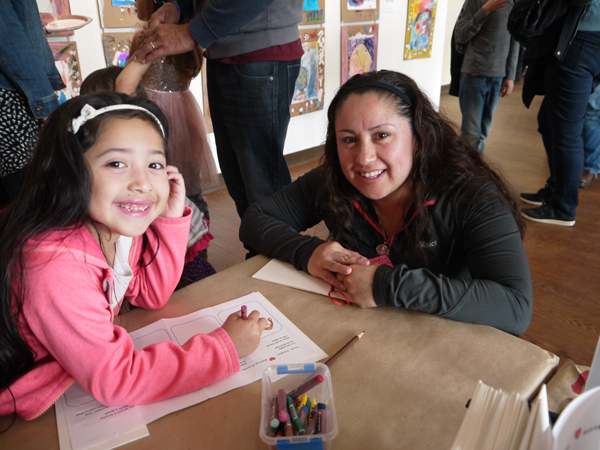 Naomi has since also become Youth in Arts Board President, leading the organization in reaching more Marin children with our creative programs. The party atmosphere included food provided by the school for all the kindergarten families attending. To learn more about Creative HeArts, check out our video below. For more about the gallery exhibit, click here. To donate to support this opportunity for young artists, visit our online donation page.